"Thank you so much for your letter thanking me and Tom for joining you on another memorable cruise. My goodness! I should be thanking you and your entire staff for inviting us and for showing us such a wonderful, memorable time on Norwegian Epic. I had no idea how special the experience was going to be...not only the accommodations, which we are both still talking about to anyone who will listen, but the artists! To actually meet Yaacov Agam and Igor Medvedev, and have them personalize their books to ME. 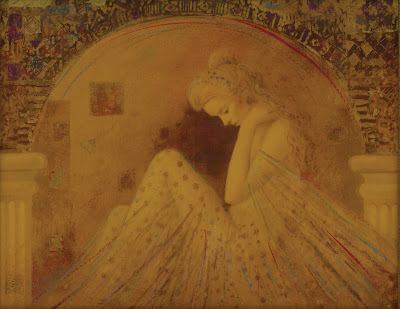 I have been the proud owner of Medvedev's "Byzantine" (from a Park West Gallery Tampa land auction about six years ago); and when I pointed out that page in his book, both he and his wife expressed a combination of disbelief and happiness that I did, indeed, own that particular piece. At my request, he autographed that page for me. I would be remiss if I didn't mention how special it was to have [Albert Scaglione] join us and participate in the presentations, particularly with Yaacov Agam. I bought an "Agamograph" piece during the auction; and during the photo session with Yaacov, I wished him a Happy Hanukkah. Rather than returning the saying to me, he proceeded to draw two overlapping Stars of David on my autographed page, along with his "rainbow," that he had already drawn. I cannot express how special that experience was to me. 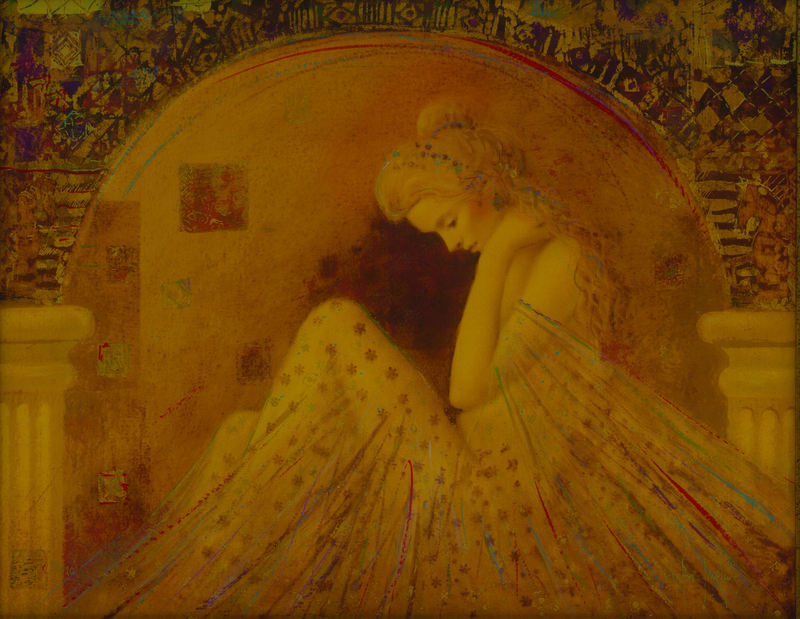 I already had three pieces from Csaba Markus' "Beau" series, but had not had the honor of meeting him before. At this event, I acquired two of his pieces--an original colored pencil drawing and a very special edition piece--both beautifully done in his personally-designed frames. I had acquired a Kanovich watercolor at the Baltic event and overbid another participant to win another Kanovich at this event--a three-dimensional two-figure terra cotta piece. At the Epic event, I consider myself very lucky to have found another Picasso ceramic, which I will deraly treasure when it arrives. I really do enjoy the overall experience of being surrounded by the artwork and artists - and learning - a continuing educational experience - about the works as well as the artists. The presentations mean a lot to me even if I don't bid on a particular work or artist. At times I feel as if I'm back in school learning from [the art auctioneer's] and others' expertise. A case in point was the presentation of the works of Robert Kipniss. This was our fifth VIP trip, and our third VIP cruise. It is difficult to find room for improvement since the hard work of your staff really paid off with the arrangements for the accommodations, auctions, parties, dinners, etc., down to a science. Again, thank you for all of your consideration, and I look forward to seeing you at future events."